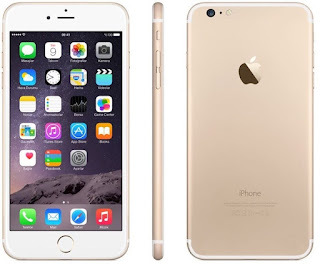 iPhone 7 design will be similar to the iPhone 6s design says the latest report, source via - google search, tech news. iPhone 7 design similar to iPhone 6s says a report from The Wall Street Journal, the iPhone 7 is likely to sport the same design as that of iPhone 6 and the iPhone 6s models. There has been news all around that there will be great changes in the design of the iPhone 7 as some say that apple changes its design every two years. It is also said that the iPhone 7 will come in two variants with 4.7 inches and 5.5-inch screen display. There can be a change in the model from the next year iPhone, not this year, as next year, it will be the 10th anniversary of the original iPhone. There are also rumours which say that the next years iPhone will have an edge to edge OLED display with a fingerprint scanner over it itself. There will be no home button on the phone and will be completely removed. Apple CEO Tim Cook last month in an interview to CNBC said there is "great innovation" in the pipeline for the upcoming iPhone devices. "We are going to give you things that you can't live without that you just don't know you need today," he said. Sources also say that the iPhone 7 will not have a 3.5 mm headphone jack, removing the jack may result in a thinner iPhone 7. The design head Jony Ive's desire has been to shrink an iPhone to a single sheet of glass. The 2017 iPhone design ideas are supposed to move the smartphones in the same direction. Next year it is predicted that the iPhone 7 will get a new color and it will be navy blue. So now let's wait and watch for the next official update from the company Apple and see how much of these are rumors and how much of these can be true and implemented by the company.